Having it done right the first time will save time and money down the road. The pool construction process can be intimidating. It’s a bit unnerving to see a big crater in your backyard, but your Showcase Builder will keep everything moving so that you’ll be swimming and splashing in no time. The actual pool installation can usually be accomplished within two weeks, but various conditions can reduce or extend that time frame. Most areas require building permits before installing an inground pool, with additional inspections during the installation process. This can add some time overall, based on your yard, the placement of the pool and how busy the inspectors are. If you are having your builder do custom work on the pool, such as stone decking or retaining walls, you can expect installation to take a little longer. The important thing to remember is you should not compromise quality by rushing this installation. Having a good relationship with your builder is the key to a smooth and stress-free pool construction process. With a Showcase Builder , you’re getting the best! You're Ready to find a builder now! 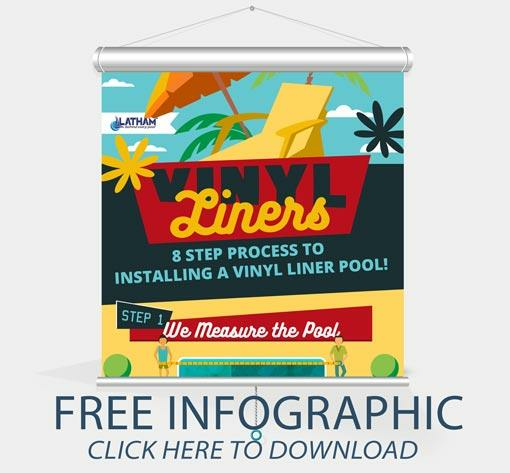 What are the advantages of a vinyl liner pool? What type of design ideas do you have for my pool, such as water features or lighting? How long will my pool construction take, from start to finish? What are popular pool accessories that can make my pool experience more enjoyable? How much will this cost? What payment plans are available? What additional services do you offer, such as pool openings/closings or weekly chemical maintenance?